Keep preschoolers engaged this season with a fun set of preschool reindeer printable math and literacy activities. Perfect for December preschool centers! I can’t believe Christmas is just a few short weeks away. If your preschoolers are getting a little antsy, why don’t you mix things up a bit with some fun reindeer printable activities. They’re the perfect addition to your preschool Christmas activities. The activities in this pack focus on early math and literacy skills. 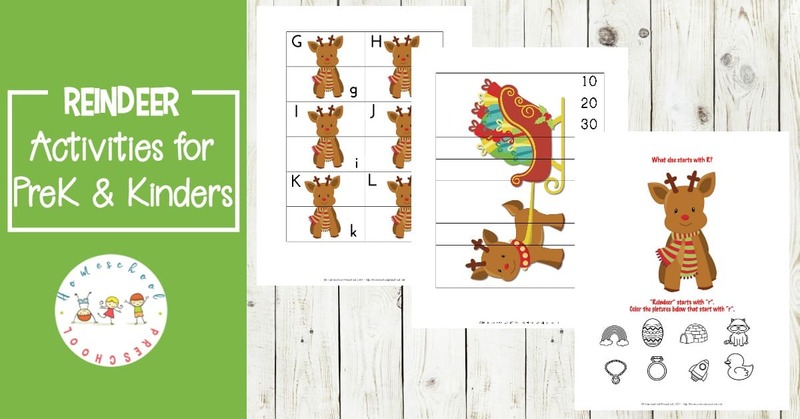 From handwriting and counting to beginning sounds and logic, these reindeer printables are the perfect way to have some holiday learning fun. These low-prep activities are just about ready to go! Just print them out. Laminate and cut apart the alphabet cards and skip counting puzzles. The rest of the pages are ready to go. 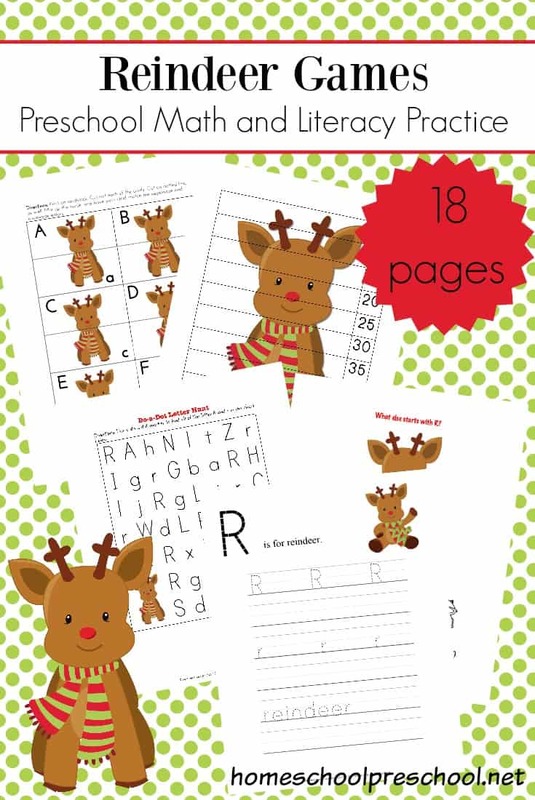 This set of preschool reindeer printable activities is only available to my readers. Click the button below, enter your information, and then follow the directions to download your file. • Christmas Preschool Numbers Pack – Are your preschoolers ready for the holidays? If so, they’re sure to love this fun Christmas-themed number packet! 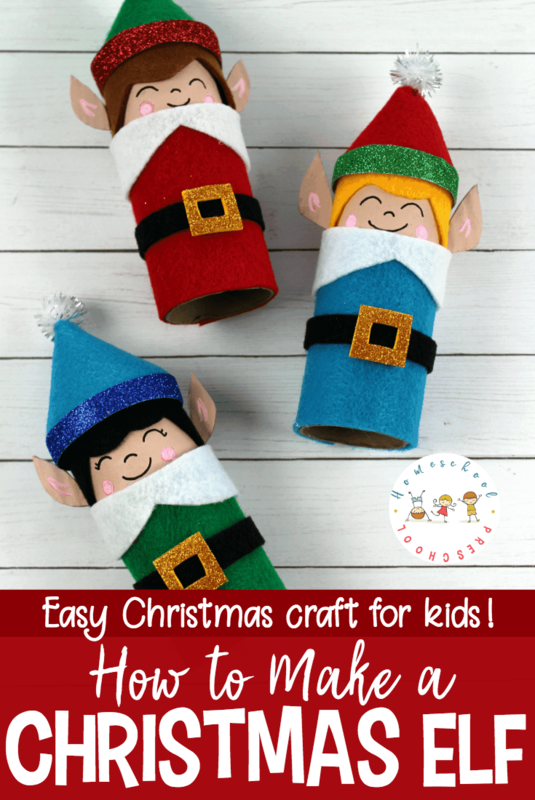 • Easy Elf Craft for Kids – Christmas crafts don’t get any easier than this elf craft for kids! With a cardboard tube base and a handful of simple supplies, kids can whip them up fast. 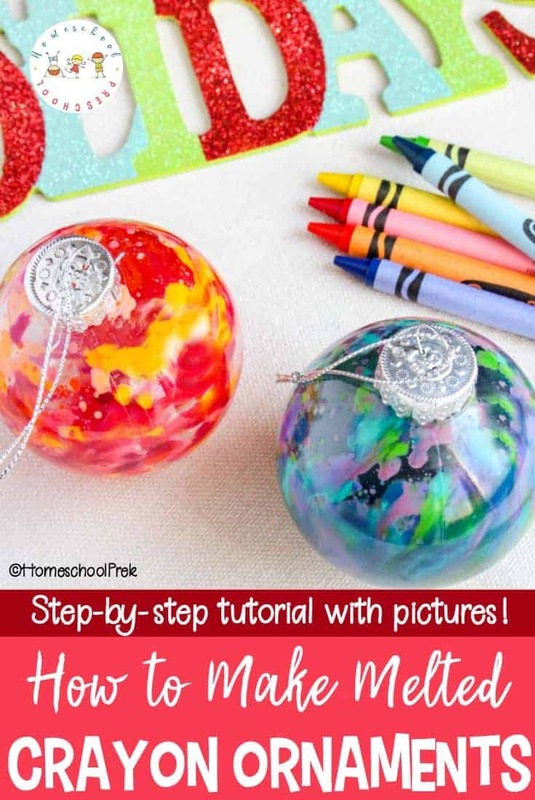 • Melted Crayon Ornaments – Kids will love the watercolor look of these melted crayon Christmas ornaments. They’ll also love how easy they are to make. What a perfect motor skill builder! • Elf on the Shelf Ideas for Preschoolers – Doing Elf on the Shelf with preschoolers is so much fun! 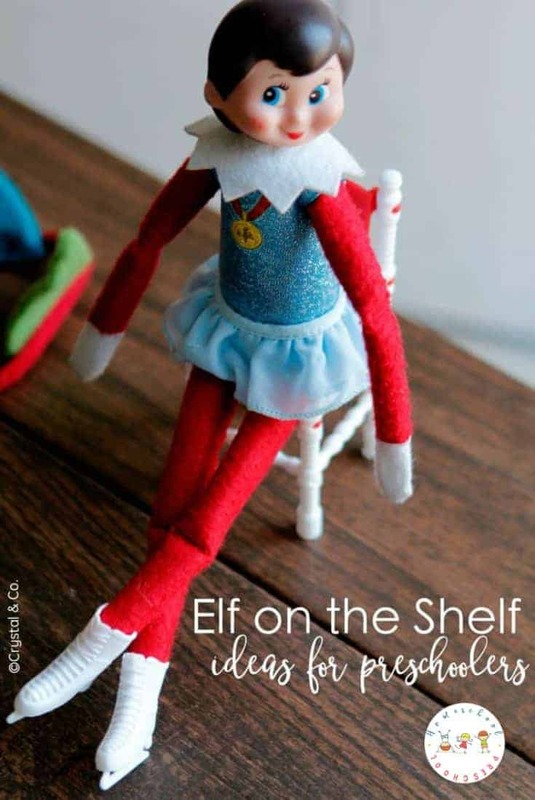 If you are looking for some quick Elf on the Shelf ideas, here are some to keep up your sleeve. • Christ-Centered Christmas Activities – How can we keep the focus on Christ in the midst of all of the holiday festivities? Here are twelve Christ centered Christmas ideas you can use with your preschoolers. And, if you are looking for more reindeer-themed preschool activities, be sure to check out these fun activities.